Artist's rendering of the Atlantic Plaza II project looking along NE 7th Avenue. 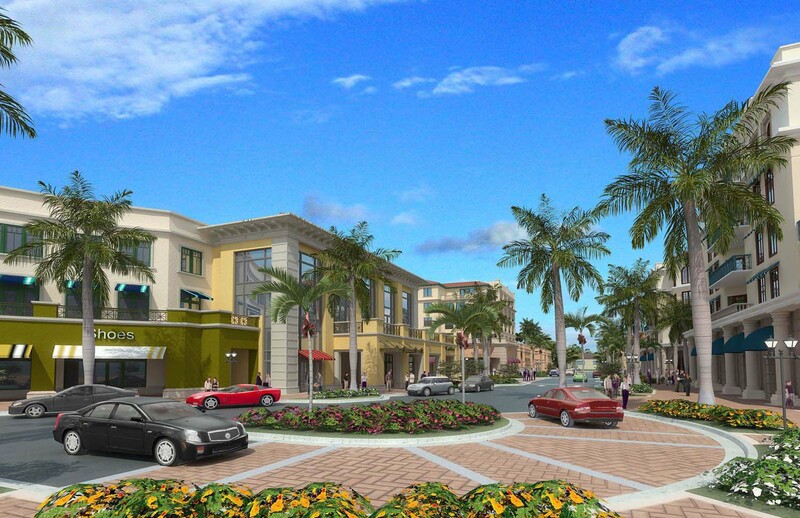 DELRAY BEACH — CDS International said Monday that it plans to begin work on the $325 million Atlantic Plaza II mixed-use redevelopment project this summer. The project will transform the two-block area between northbound Federal Highway and Veteran’s Park along the north side of East Atlantic Avenue in Delray’s downtown. The 8.5 acre site now includes a former gas station, a smattering of commercial buildings and Atlantic Plaza, a 70s-style shopping center. — 32,000 square feet of shops and restaurants, including a 50,000-square-foot two-story retail anchor space. — 106,000 square feet of class A office space, the first in Delray’s downtown. — 197 apartments, townhouses and lofts. — Underground parking for more than 1,000 cars. There will also be outdoor public spaces. CDS, which is owned by entrepreneur and Delray Beach resident Carl DeSantis, assembled the land over two years. The project will begin by moving utility lines — sewer, water, electric — and moving streets. That phase of the project is expected to take 18 months, with construction to be done in three phases over five to seven years. Milmoe said the company assembled the property over the past two years and will be working with best-in-class joint venture partners to develop the site. Infrastructure work is projected to take approximately 18 months, with development to occur in three phases over the next five to seven years. “There were many unique aspects of this site that influenced the design – and that will give it a true sense of place,” architect Derek Vander Ploeg said. “These include compatibility with nearby historic buildings and the interplay with the adjacent park, an amenity few cities can claim within their downtowns. With this location and these assets, Atlantic Plaza II has all the ingredients to be an extraordinary example of ‘place making’”.